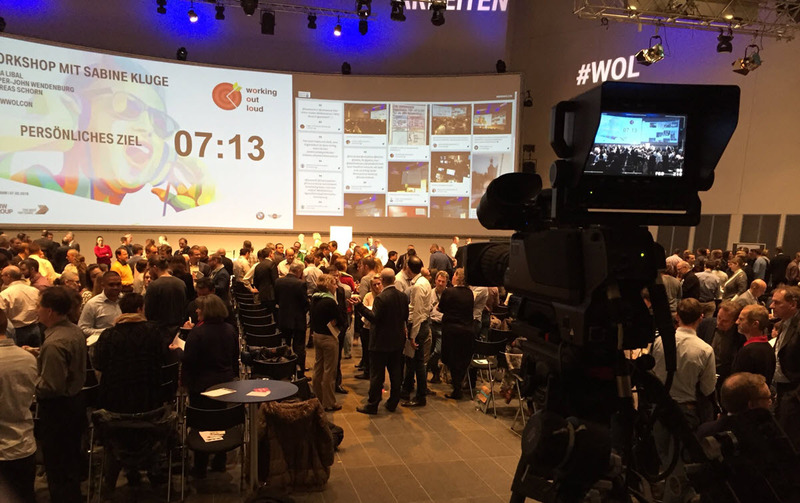 BMW Group Germany used Walls.io to enhance a 500-people event they organised. We had a little chat with Fabian Bayer from BMW Group to find out more about how exactly they used Walls.io during the “BMW Working Out Loud Conference” (#BMWWOLCON). 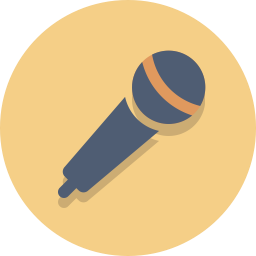 Want to create more engagement during your next event? Create a social wall now! Working Out Loud is an initiative started by John Stepper and first adopted at the BMW Group by Ilona Libal, Andreas Schorn and Jasper-John Wendenburg a few years ago. The aim of the grassroot movement is to improve the quality of work by encouraging people to share work in progress with a relevant community. The idea is to get input from and collaborate with the community, as well as learn from each other’s processes and solutions. BMW Group Germany used the Walls.io event subscription to set up a social media wall for the “BMW Working Out Loud Conference” (#BMWWOLCON). We talked to Fabian Bayer, Digital Specialist at the BMW Group Germany to find out what the event entailed and how BMW Group used the hashtag to add a little something to the event. What is Working Out Loud and why did BMW Group decide to take part in it? Working Out Loud is a simple method for building relationships and achieving a goal within twelve weeks. It’s based on five core values: Relationships, Generosity, Visible Work, Purposeful Discovery, Growth Mindset. These goals nicely match the core values of BMW Group: Trust, Appreciation, Transparency, Responsibility and Openness. Consequently, taking part in Working Out Loud was a clear choice for BMW Group. We first participated in Working Out Loud in 2015, and the initiative has only grown in our company since then. What does Working Out Loud look like at the BMW Group? This first event was held on November 2, 2017, at the BMW Group IT Center in Munich. John Stepper, the author of the book Working Out Loud was a keynote speaker at the event. We got great feedback for the event, so we decided to expand our plans for the next event on February 7, 2018, and set up a social media wall using Walls.io. How did you incorporate Walls.io into the event? We used the name “BMW Working Out Loud Conference” for the event and set up the hashtag #BMWWOLCon. Around 500 people attended the event and we encouraged everyone to use the hashtag throughout the day, which included talks, as well as a workshop at the end. We showed the wall on a big screen on stage after each moderation part, in the break, and during the workshop as well. It was really great because people could always see what was happening on social media. How did you motivate people to use the hashtag? How did you promote it before and during the event? We didn’t do any promotion before the event but instead simply encouraged people to use the hashtag by projecting the wall on stage whenever I was moderating. Actually, we don’t usually allow people to take photos and post them to social media during BMW Group events, but we were able to make an exception for this one. So when I kicked-off the event, I specifically told the attendees that it was okay to take pictures and post them on Twitter and Instagram with our hashtag #BMWWOLCON. How did you handle moderation during the event? Fortunately, moderation wasn’t necessary. Everyone was really excited about seeing the wall change with every post and we all had a lot of fun. Walls. io has advanced moderation features which give you full control over what shows up on your social media wall and what doesn’t. Why did you choose Walls.io for your social wall? We really liked how easy it was to set up a social wall with Walls.io. We went for the event subscription, so I only did a trial run one day before our event and it was really easy. I just connected our Twitter and Instagram accounts and defined our hashtag #BMWWOLCON in the sources. And that was it — incredibly easy. Since BMW Group Germany only needed the social wall for one day, a Walls.io event subscription made sense for the company. Walls.io event subscriptions are a smart and economical choice if you only need your social wall for a short period of time. While setting up a social media wall with Walls.io is super easy, we do know that most people do want a little bit more time to make sure everything is ready for their event. This is why our event subscriptions don’t just run for a day but for 72 hours, giving you enough time to set everything up and go through a few test runs before you go live for your event. And don’t worry, your wall won’t disappear after the event either. All the posts and content collected during your event are safe. When your Walls.io event subscription ends, your account will automatically revert to a free account. Extra features will disappear but you will always have a bare-bones version of your event wall to return to, whether you’re analysing your event for a report or simply want to reminisce. Needless to say that we loved ? the setup! Thank you, BMW Group and a BIG thanks to Fabian Bayer! Need Walls.io for your own event?